From time to time I’ll write about some of the earliest events in the epidemic. I’ve had the opportunity to participate in some of them, both as a physician caring for people with AIDS from its first recognition in 1981 and also as a microbiologist. 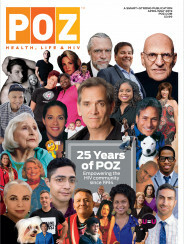 Today, I’m going back 24 years to recall - with the help of a few contemporary documents, a significant event in the history of the HIV/AIDS epidemic. This was the introduction of AZT, the first drug to be approved for the treatment of HIV infection. I’m certainly not writing a history of the introduction of AZT. This is just the personal account of a doctor treating HIV infected individuals at the time, who was unable to recommend AZT for his patients at least not at the huge dose then suggested by authorities who had taken on the medical leadership of the epidemic. I’m not sure that it’s even possible to adequately describe the terror and desperation felt in the early 1980s. By 1986 nothing of any use regarding treatments had come from the Public Health Service and very little from the academic medical community. For example, people with AIDS had to wait until 1989 for the CDC to issue guidelines for the prevention of pneumocystis pneumonia, the most frequent cause of death among them, while this type of pneumonia had often been routinely prevented in many other individuals who were also at risk because they were recipients of kidney transplants, or were children with leukemia. The way to prevent pneumocystis pneumonia was no secret - it had been published in 1977. Then, after six years of inaction we were at last told that help was on the way. Dr Samuel Broder who was head of the National Cancer Institute appeared on television shows trumpeting the benefits of a drug he called Compound S. I well remember a TV show where he appeared with a person with AIDS who enthusiastically attested to the benefit he had received from the drug, presumably from 1.5G of it daily. At that time doctors on the front lines were trying to do what they could for their patients but had received little help from experts at academic medical centers and virtually none at all from Government scientists. There was a pervasive defeatist attitude, a feeling that nothing could be done, that what was needed was a new drug. So in a sense, those who had taken on the medical leadership of the epidemic were telling us in their silence that there was nothing much we could do for individuals with AIDS. We just had to wait for a drug. But in fact, much experience in the treatment of immunocompromised individuals had been gained well before the AIDS epidemic, particularly in the field of renal transplantation, but also in other conditions where individuals are susceptible to the same opportunistic infections and malignancies as are people with AIDS. By 1981, when the first cases of AIDS were reported, diseases of the immunocompromised host had already become a distinct subspecialty of clinical medicine. There really was a lot that could be done before the advent of AZT. After all, most deaths were caused by opportunistic infections, and we certainly could do a great deal to prevent and treat many of them. I had the good fortune to have had experience in the 1970s in the infectious diseases service at a medical center where there was a renal transplant unit and so was familiar with the kinds of infections and malignancies that occur in AIDS. Community physicians treating large numbers of patients soon became experts in the management of this new disease, and we were preventing pneumocystis pneumonia in our patients with Bactrim or dapsone without waiting for recommendations from a medical leadership that actually discouraged this practice at that time. As I’ll describe a little later there were other measures we learned to take that were able to extend the lives of our patients. But it took a careful review of the AZT trial to make me understand just how much we were able to do. The clinical trial on which AZT’s approval was based had produced a dramatic result. Before the planned 24 week duration of the study, after a mean period of participation of about 120 days, nineteen participants receiving placebo had died while there was only a single death among those receiving AZT. This appeared to be a momentous breakthrough and accordingly there was no restraint at all in reporting the result; prominent researchers triumphantly proclaimed the drug to be “a ray of hope” and “a light at the end of the tunnel”. Because of this dramatic effect, the placebo arm of the study was discontinued and all participants offered 1500mg of AZT daily. I was treating many HIV infected individuals in 1987 when the drug was approved for the treatment of advanced AIDS. I was puzzled by the results of the trial quite simply because it was most unlikely that those patients of mine who resembled trial participants would have died in the period before the placebo arm was terminated. Many patients enrolled in the trial had experienced an episode of pneumocystis pneumonia within four months of participation. My patients and those of other experienced physicians were unlikely to die within four months of an episode of this type of pneumonia. This means that if my patients had enrolled in the trial it’s probable that there would not have been any deaths at all by the time the placebo arm was discontinued and thus a dramatic apparent effect of AZT on mortality would not have been seen. I then tried to obtain a copy of the FDA report on the application submitted by Burroughs Wellcome, (the NDA) so that I could try to understand the discrepancy myself. Through the Freedom of Information Act, Martin Delaney of Project Inform obtained a copy of the review of the NDA . Unfortunately much of this was blacked out, and another copy was obtained by the same means by ACT UP New York, which was legible. Essentially it makes the point that patient management strategies were the most significant factor influencing mortality, in the short term, and it could not be excluded that differences in patient management in the trial were to a greater or lesser extent, responsible for survival differences. For example, the speed with which a potentially fatal opportunistic infection is suspected and diagnosed and efficiently treated can make the difference between life and death. But this is just one aspect of patient management. These are structured programs to prevent opportunistic infections when possible, to determine susceptibility to some, to diagnose them early and aggressively treat them. To aggressively determine the cause of symptoms, such as diarrhea, and not throw up one’s hands, do nothing and attribute everything to AIDS. All too often certain symptoms, specifically diarrhea, fever, weight loss, and anemia were simply attributed to AIDS and not investigated. In fact, such symptoms could frequently be ameliorated if their causes were aggressively sought. More often than not they were caused by treatable conditions. I and other community physicians aggressively tried to establish the cause of such symptoms. It was the experts who in fact were more likely to attribute them to AIDS and therefore consider them to be untreatable. In that climate it could sometimes be difficult for people with AIDS to obtain a diagnosis of any complaint not caused by AIDS. People with AIDS are of course also susceptible to other ailments, but too often in the early days, their manifestations were just attributed to AIDS. The provision of general support, including attention to nutrition and mental health and other issues are parts of patient management. This is pretty labour intensive doctoring, but these measures were able to prolong the lives of our patients. Needless to say, it was community doctors who had to develop such strategies without much help from the experts. I believe the first recommendations on patient management made by the medical authorities leading the response to the epidemic were those concerning prevention of pneumocystis pneumonia in 1989. It took place in 12 centers across the country. There was no uniform approach to patient management during the trial; each of the 12 medical centers determined this independently. So the most important series of measures determining life or death in the short term was left unspecified. I suppose one has to conclude that government medical experts, unlike community doctors, must have felt that nothing could be done for people with AIDS, that the only hope to be found was in a new drug. So if in the short term patient management strategies can make the difference between life and death is there any reason to consider that such strategies may have differed in those receiving placebo or AZT? The reason why randomized placebo controlled clinical trials are blinded, (so that neither investigator nor participant knows who is receiving placebo or active drug) is to minimize bias. Bias can influence the outcome that might incorrectly be attributed to a drug effect. But it’s impossible to blind a trial using AZT. The drug causes changes in routine blood counts that investigators need to see. Therefore we must conclude that investigators could know who was receiving AZT or placebo. In some centers were there instances where the participant also had a personal physician? If this occurred, as is likely to be the case, there was no analysis of trial outcomes based on this compared to centers where the study physician was also the treating physician. There was also no analysis of outcomes by study center. New York City was a study site. Were patients referred to the study site at St Lukes Roosevelt Hospital Center by personal physicians who continued to care for their patients? Incidentally this also brings up the question of the propriety of an individual serving as both investigator and treating physician. I believe these two roles are frequently incompatible; that there can be an insuperable conflict of interest that should preclude an individual from functioning in these two roles concurrently. The problems resulting from unblinding were clearly recognized by the FDA reviewer but not by the study investigators in their report. Around the time of publication of the trial report I took part in a Canadian Broadcasting Corporation telephone interview. When I tried to bring up the issue of bias I was cut short by a NIH official who said this was too technical a detail for the audience! On another occasion when I was able to raise the issue, an expert responded that investigators would never have been influenced by knowing who received active drug or placebo! It was pointless to ask why in that case bother to blind a study. In summary, the survival benefit in the trial attributed to AZT may to a greater or lesser extent have been due to differences in how placebo or AZT recipients were managed. All we can say is that the question remains, not that this was in fact the case. 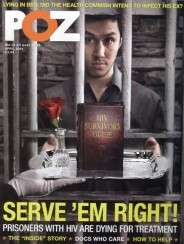 Very unfortunately, the most vocal of the critics of the AZT trial included some individuals who were convinced that HIV could not cause AIDS, some even claiming that AZT rather than HIV was responsible! None of these critics, as far as I know, had any experience in clinical trial methodology, or indeed in the care of patients. I thought that my review of the AZT trial was actually quite conservative with its criticisms based on the traditions of clinical practice and research. It’s worth reproducing the disingenuous explanation for the survival benefit of the lower dose. 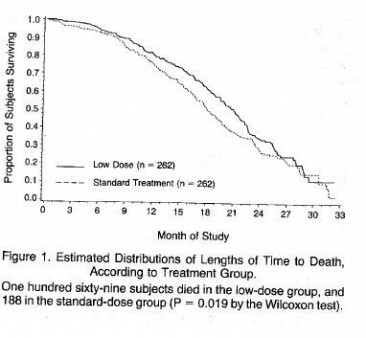 If ever evidence was needed that AZT - at the initial recommended dose of 1500mg daily probably caused an excess mortality - the figure above provides it, despite the disingenuous claims of the authors that the deaths were due to AIDS. A rational response would have been to work out the minimum effective dose. Why stop at 600mg a day? 300mg a day is probably just as good. It is the dose I prescribed with no evidence that 300mg AZT daily was associated with a worse outcome. As described in another article it is likely that endogenous interferon plays a role in pathogenesis, and AZT promptly removes it from the circulation. That the possibility that more people on the higher dose died from AZT toxicity is not even mentioned in the above report is a sad indication of what has become of the discussion of results section in a scientific paper, at least in the field of AIDS. Traditionally all possibilities are discussed, even to be dismissed, but not in this paper. Because I was one of the few physicians around 1987 who did not prescribe AZT I attracted patients who were reluctant to take it and whose physicians were nor supportive of this choice. This recollection has been about the trial of AZT not about AZT itself. Inappropriate interpretations of clinical trial data are not confined to the field of HIV medicine; they are all too common in every field. But it seems that HIV medicine is different in one respect. In just about every other field - in cardiovascular medicine, oncology or psychiatry there are vigorous discussions over what are seen as inappropriate interpretations of trial data. But for whatever reasons clinical trials in HIV medicine seem to escape careful scrutiny by the broader medical community. (1) I sent my review to clinical researchers across the country but received no responses at all. Not even a rejection of points I had made. I have written a similar, but longer account of the AZT trial.